For my Thanksgiving Day blog post, I was going to write about "things for which this writer is grateful." And there are many including this amazing community. But I’ve decided to focus on a writer whose work I admired – Stan Lee. If you only know Lee for his cameos in the Marvel movies, you may not know that he was first and foremost a writer. 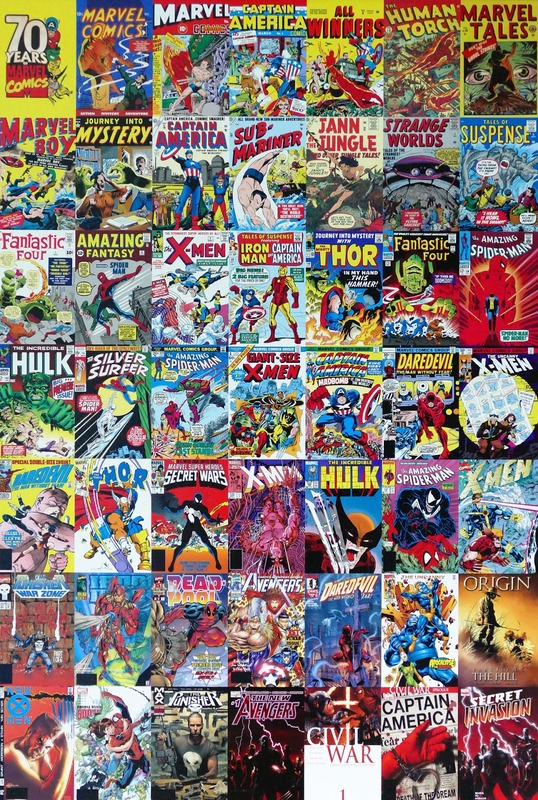 Before there were graphic novels there were comic magazines. By the 1950s Lee was writing a variety of comics including romance, Westerns, humor, science fiction, medieval adventure, horror, and suspense. How does this impact us? When he got the chance to premier a line of superheroes, he introduced something never before seen, flawed heroes who were just a human as they were heroic. We employ this technique whenever we create a heroine who has a flaw. Three years ago, my husband and I took the MOOC “The Rise of Superheroes and Their Impact on Pop Culture.” Led by the Smithsonian, it was offered through EdX and included guest lectures by Stan Lee. Yes, I saved every single one of those lectures. What impressed me most was his enthusiasm. That quote comes from an article he wrote that appeared in Writer’s Digest in 1947. In “There’s Money in Comics!,” he gave a lot of writing advice that applies to all writers even today. Grab your reader from the start. Make sure your story has a logical flow from scene to scene. Your dialogue has to be solid and realistic. Don’t write down to your reader. Study your markets because what one finds exciting another will consider too fanciful. Even today I’m grateful that I took the opportunity to study the evolution of the superhero. Have a written a superhero? Not yet but I am playing with an idea. Graphic novels fascinate me because I’ve seen how they pull young readers in as if by magic. To find out more about Sue Bradford Edwards' writing, visit her blog, One Writer's Journey. Sue is also the instructor for Writing Nonfiction for Children and Young Adults. The next session begins January 14th, 2019. Sue--Thanks for the post and the link. The article was full of great reminders for all writers. I hope you're having a delightful holiday surrounded by family and perhaps friends. Happy Thanksgiving. Stan Lee was awesome! I loved his cameos in all the Marvel movies. I think there are several other franchise movies set to come out, so we still may see him! I always loved that one Simpsons episode where he tries to change into the Hulk. 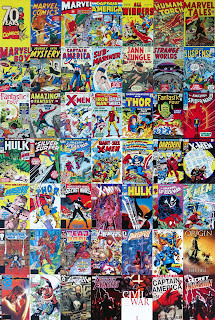 I'm a huge comics fan, but I've never been into super hero comics for some reason, but my hubby grew up on them so I know the world well and go to all the Marvel movies. I think comics are definitely a literary form (I appreciate you saying that), and actually require a different thought process and perhaps more creativity because you have to think about both the images and the words, and when it's best to leave words out and let the illustration do the heavy lifting and vice versa. It's complex. One book that explains that concept pretty well is Scott McCloud's Understanding Comics. How cool that you learned from Stan Lee! It is always sad when an icon dies, but he left so much behind for all of us to learn from--thank you for reminding us. I also love that flawed hero thing. It is so easier for all of us to relate to heroes and heroines then. Happy Thanksgiving, Sue! Thank you for your kind words, Ladies. I didn't always see comics as literature. I didn't think they weren't. They simply weren't on my radar. It wasn't until I saw how into them other people were that I started wondering. Then I saw what an impact they have on a friend's son. He understands so much more from a graphic novel AND his vocabulary is impacted, growing and broadening. We have to reach our readers where they are and it seems foolish to ignore the ones who need the combination of text and image. Our library's copy of understanding comics is "missing." Will have to check the local bookstore. Oh, the horror.